As the helicopter comes, They want to carry the box. But the box gets crashed as well. The zombies comes out of this box. The number of the zombies is unknown! Most of them escapes to the woods immediately. Now, You have to kill all of them at these crazy environments. When the zombies bite anyone, That human turns into a zombie too. You should be really fast to stop all of them. Otherwise, All of the humans on the planet will be a dangerous creature named zombie! There is two types of game modes for Foreign Legion Multi Massacre. Deathmatch and Dominion are the names of the modes. You can easily choose one of them to start the battles. There are also six maps for the players. Each map includes 3D environments with lots of equipment. When you kill any zombie, You will get rewarded. So, The player can buy new weapons by these rewards. The game system may give you a weapon directly. In that case, You don’t need to go to the store. This title is a Co-op game and needs internet connection. Up to eight players can be fight near each other against zombies. 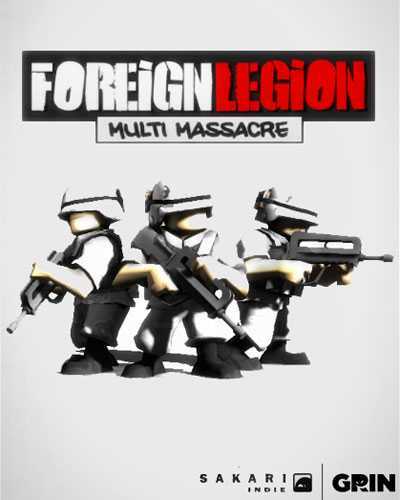 You have to connect to Steam Network for Foreign Legion Multi Massacre. If you like this kind of action co-op games, Try this one. The hordes of zombies are infecting the world! 1 Comments ON " Foreign Legion Multi Massacre Download "